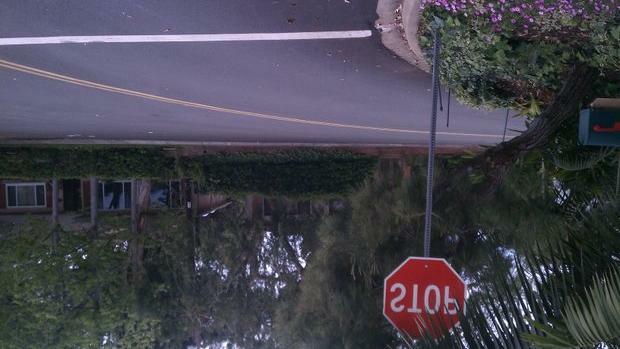 I would like to say, before I comment on the story, “Point Loma Imbroglio Continues Over ‘Bogus’ Stop Signs After Peninsula Planners’ Compromise” is that I very much appreciate the work the OB Rag and its staff does keeping us all informed about what is happening in our community and beyond. So, if I make some corrections to this article, I am not being critical of the effort. The first thing I want to correct is the name of the organization; it is called the Peninsula Community Planning Board or PCPB for short. If anyone is interested in what it does, here is the PCPB website address, www.pcpb.net. The second thing I will point out is that a vote on this stop sign issue should never have taken place.The issue was on the May agenda as “New/Old Business”- not as an action item. (viii) ACTION ON AGENDA ITEMS – An item not noticed on the agenda may be added if either two-thirds of the entire elected membership, or every member if less than two-thirds are present, determine by a vote that there is a need to take an immediate action, but only if the need for action came to the attention of the planning board subsequent to the agenda being posted. The stop sign issue was not one that required immediate action. 1) Simon Borger described a safety problem at Silvergate/Jennings and requested that a particular yield sign be changed to a stop sign. N. Graham moved, seconded by P. Nystrom, to request that the city convert the yield sign to a stop sign and update the surrounding signage to accommodate the change. Following discussion the motion was approved unanimously. 2) Simon Borger, Kenn Anderson, Julie Anderson, and Don Severin presented the problem of stop signs, unauthorized stop signs and general confusion of what was appropriate for the intersection. On motion of P. Webb, seconded by J. Shumaker, the matter was tabled pending resolution of the issue by agreement among the neighbors (Vote was 8/0/0). Then, this same issue came up in May listed as “New/Old Business” with a presentation this time by the chair of the PCPB’s Traffic & Transportation Subcommittee. This was the item that was improperly moved to the “Action Item” list. What happened this last time? This line in the article told why, “The Planning Committee had been directed to come up with a solution for the problem and send Faulconer a recommendation.” Directed by whom? Well, as it turns out, directed by Faulconer, who has no jurisdiction over the PCPB at all. Here is what happened. Faulconer’s representative to the Peninsula called the chair of the PCPB’s Traffic & Transportation Subcommittee to attend a meeting at Falconer’s office on Wednesday, the day before the PCPB’s monthly meeting. The request for his attendance did not go to the chair of the PCPB, which would have been the proper way to request that attendance, in fact, the chair was unaware of the meeting until the week after the PCPB’s monthly meeting. Also in attendance at the Faulconer meeting was a person from the City Public Works Dept and one neighbor who lives near the site of the controversial stop signs. Just one neighbor means just one side was represented. The only conclusion one can draw from this was that this neighbor had enough pull to get Faulconer’s attention. What happened at this meeting was completely irregular and Faulconer should have known that. At the meeting, the PCPB’s Traffic & Transportation Subcommittee chair was told the PCPB had to vote on one of the options for the stop signs at the Jennings/Silvergate area that was identified. The chair of the PCPB’s Traffic & Transportation Subcommittee said he made his motion to make an “Action Item” out of this during the PCPB’s May monthly meeting because of this direction from Faulconer’s office. Unfortunately, the PCPB’s Traffic & Transportation Subcommittee was not as knowledgeable of the rules governing the PCPB as he should have been. The people on the PCPB are a well meaning collection of folks from the community who volunteer their time. There has been a larger turnover in the last two years and many of the members are new and are not as familiar with the rules as they all should be. The City of San Diego provides a training session for all new planning board members across the City but becoming conversant with the by-laws, the Brown Act, and Council Policy 600 – additional rules for the planning boards – is the responsibility of each individual member. Sometimes, members are designated to be the by-laws rules expert or the parliamentarian expert on Robert’s Rules of Order. This is a good idea so that at least one or two people are completely familiar with the rules. This incident with the traffic signs highlighted two disturbing things. The first is the apparent lack of knowledge among the planning board members as to how the community planning boards are to conduct themselves. The second, more disturbing highlight was how a city councilman attempted to influence the voting illustrating either sinister motives or another lack of understanding about how these groups are to operate. If the community members do not pay attention, these things will happen regularly. Finally, after viewing the intersection in question, three stops were seen where really only one is needed. This is a “T” intersection, the only sign needed is for the road entering the “T” and now it has three stop signs. Even the solution makes no sense. Geoff Page is a former Chair of the Peninsula Community Planning Board. If Faulconer is involved, laws are not followed, a similar thing happened with the trailer in the Ocean Beach Pier parking lot. District 2 will be better off when this scum leaves office. I’m as distrustful as the next guy of most politicians but I have a hard time imagining any possible “sinister” motivation on the part of councilman Faulconer regarding how many stop signs were placed at this corner. Maybe he got a kickback from the company that makes the signs… I’m sure he’ll retire to his own private island near Tahiti on the $1.98 he pocketed. Boy who cried wolf. Makes a mockery of real malfeasance when it does happen. It is interesting, is it not, that a person would find so objectionable a single word from a written piece of over 1,000 words that he could use that one word to trivialize the entire piece. Sounds like the work of a professional. I agree with John on one point, that $1.98 kickback would not be much motivation for someone to try and influence the outcome of a stop sign dispute. But, John, that still does not answer the question, why would Faulconer get involved in this manner? You couldn’t imagine “any possible ‘sinister’ motivation so what did you imagine was the reason for this? As for the word “sinister,” it may be applied to many things. As a general statement, I find it sinister when politicians do not follow the rules that govern a public discussion, rules that they do know and understand, by having meetings from which the public and the other side of a disputed issue are excluded. I find it sinister when a politician takes advantage of the naiveté of a volunteer from a community planning board, who does not know that a city councilperson cannot direct the planning board to do anything, directs the planning board member to see to it the board votes on the issue. I find sinister anything that is done in the dark and not out in the bright light of public scrutiny. I don’t care how small the issue is but John does, he wants to draw the line at “real malfeasance.” How high is that bar? How much damage do we all suffer for the little stuff below that line? What is “real malfeasance” and who will be the judge of that?